Can Trump work with Democrats in the House? The 116th Congress will not be seated until January, but members of the House of Representatives are already jockeying for the top posts in their parties. 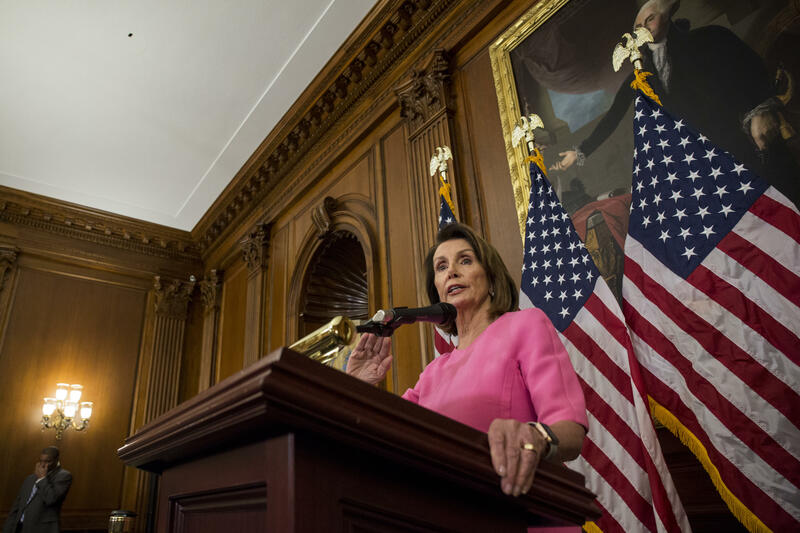 Current Minority Leader Nancy Pelosi has once again announced her candidacy for speaker of the House, and is the only declared candidate so far. If Pelosi won, she would be the first person to be re-elected speaker after spending time as minority leader since Sam Rayburn retook the speakership in 1955 after a brief interregnum. However, her re-election as speaker is not a sure thing. There will be at least 29 new members coming to Congress in January, giving the Democrats at minimum a net 27-seat gain as of Wednesday morning. Eight of those newcomers have publicly stated that they will not vote for Pelosi for speaker in the caucus vote: Reps.-elect Max Rose, Jason Crow, Haley Stevens, Anthony Brindisi, Abigail Spanberger, Jeff Van Drew, Joe Cunningham, and Conor Lamb, who was originally elected in a special House race in March. Sometimes, members are known to vote against a candidate for speaker during the secret, closed-door ballot vote but then vote for them on the floor of the House so that they don't prevent the speaker candidate from getting the 218 votes they need to secure the speakership. In 2016, 63 Democrats voted against Pelosi for minority leader on a secret ballot. In 2016, Ohio Rep. Tim Ryan unsuccessfully ran against Pelosi to become minority leader, although he garnered over 60 votes. Pelosi has said that she wants to serve as a "transitional" leader, and usher in new and younger leadership after a two-year term. Meanwhile, the races for other key leadership positions are falling into place. Rep. Steny Hoyer, the current minority whip, is running to become majority leader. Current Assistant Democratic Leader Jim Clyburn is running to replace Hoyer as whip. Rep. Cedric Richmond, chairman of the Congressional Black Caucus, wrote a letter to his colleagues earlier this month for at least one of the top posts to be filled by an African-American representative in the next Congress. Clyburn is currently the highest-ranking African American in the Democratic conference. Rep. Diana DeGette has also announced her candidacy for majority whip. At least three representatives are running for the post of Democratic Caucus chair, which is being vacated by departing Rep. Joe Crowley. Reps. Barbara Lee and Linda Sanchez of California and Rep. Hakeem Jeffries of New York are running for the post. Jeffries in particular is considered a rising star int he Democratic Party, and some in Congress have floated his name as a potential speaker candidate before the election. Reps. Cheri Bustos and Ben Ray Lujan are running for the post of assistant majority leader. Lujan is currently the chairman of the Democratic Congressional Campaign Committee. Bustos is a popular moderate who represents a district which narrowly supported President Trump in the 2016 election.